Similarly, Indian filmmakers have come up with Veerey Ki Wedding and managed to release it before one of the most awaited films of 2018, Veere Di Wedding, which stars Kareena Kapoor Khan and Sonam Kapoor. 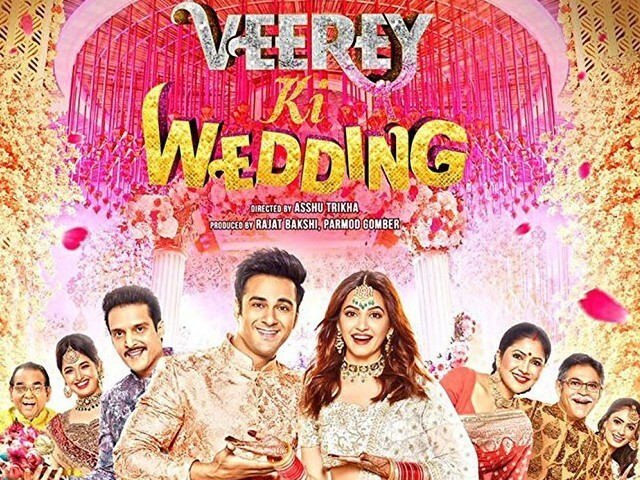 Director Ashu Trikha (Deewanapan) and writer Dilip Shukla (Andaz Apna Apna and the Dabangg series) joined forces to create a wedding comedy in the form of Veerey Ki Wedding. The film is a love story between Veer (Pulkit Samrat), an eligible bachelor in Delhi who falls in love with Geet (Kriti Kharbanda). Unfortunately, Geet’s father (Satish Kaushik) does not have a good first impression of Veer, whom he considers a quarrelsome boy and a bad influence. The situation further complicates things for Veer and Geet’s romance with the arrival of Balli (Jimmy Sheirgil), Veer’s older brother, as their families continue to fight amongst each other. Unfortunately, that’s pretty much it for the plot, and there isn’t much to tell about what actually happens in the film. Coming to performances, Pulkit Samrat, the film’s lead, fails to impress with his charms. I’ve said this before about Samrat and will say it again; he needs to stop replicating Salman Khan’s body language and mannerisms. It’s time for him to offer something unique that we have not already seen before in the performances of other actors. The lead actress, Kriti Kharbanda, looks great on screen, but that’s pretty much it. The only saving grace in the film, and the most dedicated performer in the entire cast, is Jimmy Sheirgil. Given the calibre of Sheirgil’s talent, it’s sad to watch him in such lousy films where the script is half-baked. Actors like Satish Kaushik have tremendous potential, but once again, the film fails to utilise the talent at hand. Yuvika Chaudhry, who started her innings with Om Shanti Om and then bagged the leading role in Toh Baat Pakki, returns to the silver screen but does not have much to offer to this lacklustre affair. For Ashu Trikha, this is yet another instance where he fails as a director, after previous disappointments like Baabarr, Enemmy or Koyelaanchal. The film offers nothing of substance to cinegoers. 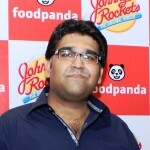 The let-down is particularly strong from Dilip Shukla, as there was a time when he wrote scripts for cult classics like Damini and Andaz Apna Apna, in comparison to which Veerey Ki Wedding has no potential at all. For a movie catering to the wedding season, the music of the film is neither pleasant nor memorable. The strictly below average soundtrack doesn’t stay with the audience at all, as one constantly wishes for both the songs and the movie to be over soon. It will not be going too far to name Veerey Ki Wedding as one of the worst wedding films of the season. Veerey Ki Wedding is a forced entertainer; a film that possesses all the ingredients to entertain yet fails to make good use of them, resulting in a bland movie. The film does try too hard to make the audience laugh, but unfortunately, barely comes close to making people smile. With films like Veerey Ki Wedding and last week’s Welcome To New York, Bollywood keeps reminding viewers that despite the strength of the industry, it continues to have filmmakers who just want to create films with no regard for the good quality. If you are a film buff who doesn’t skip a Bollywood film, feel free to try your luck with Veerey Ki Wedding. If not, it is in your best interest to save your time and hard-earned money and skip this one out.